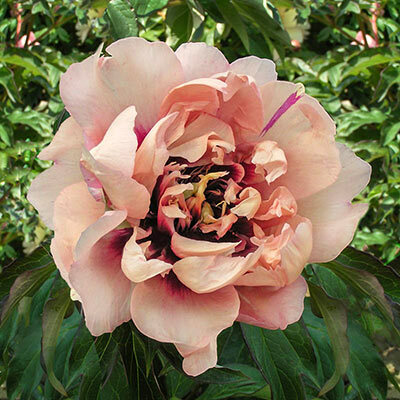 Itoh peonies are a treasure of hybridization, showing off the attractive plant habit of herbaceous peonies and the massive, gorgeous flowers of tree peonies. Itoh varieties are difficult to obtain, however, so we are delighted to have new varieties to offer—especially when that new variety is as special as Oochigeas. This peony produces boatloads of gorgeous, rounded and fully double blooms, in an unexpected, interesting color combination. The blooms appear in late spring, on a medium-sized bush. 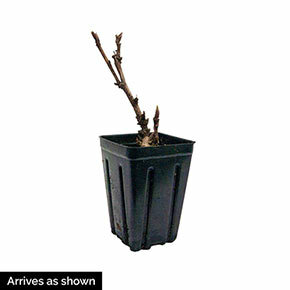 Lush foliage will keep the plant handsome for months after the blooms have finished. Peonies can last for decades in the garden, so it would make a great foundation plant. You could also put it in a perennial border or cutting garden. This peony's name, Oochigeas, is in reference to a young woman in an Algonquian legend that's similar to Cinderella.